I hope you’re all ok and having an amazing time in the run up to Christmas. I thought since it is winter, I would do a blog about skin care; since winter can be a hard time for your skin and you need to look after it a little more. 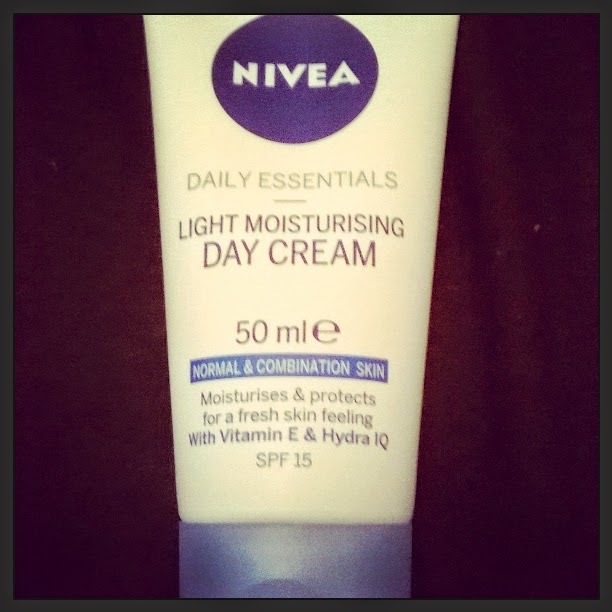 So firstly, I want to say I am a bit of a Nivea fan, well, when I say a bit I actually mean I am a HUGE Nivea fan. I love their ‘Daily Essentials’ range it has helped my skin so much. Anyway, when I was a teenager, my skin was horrible; as most teenagers’ are, I had: spots, redness, one day I had oily skin, the next it was dry and flaky, it just seemed to never make up its mind. 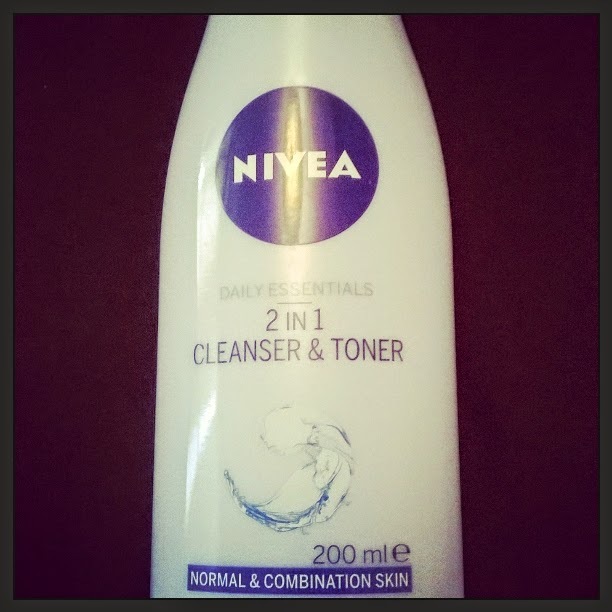 I tried lots of things to help my skin and nothing really worked, but growing up and now being in my twenties I tend to find things that try and work for me and personally, Nivea has never failed to be totally amazing for my skin. I first used Nivea because of the smell, it was such a nice smell and I just thought this is going to make my skin smell so nice (yes I know you should never judge a product by its smell, but have you smelt Nivea? It’s amazing). So the first product I use is the ‘Daily Essentials Gentle Exfoliating Scrub’, I use this every second day to help my skin, it takes off any dead skin and leaves my skin feeling really clean, which I know sounds silly but it really does feel clean. The only thing I would say is that because it does make you skin feel so clean, it can make it do that squeaky clean feeling, in my opinion I don't like my skin to feel like that, so using a good cleanser afterwards is the best thing to do. Speaking of cleansers, that leads me onto mine; that is the ‘Daily Essentials 2 in 1 Cleanser and Toner’, this, I use twice a day; it makes my skin feel so nice and smooth. It is easy to apply and one of the things I love is that you can use either water or cotton wool to take this off which means if you like camping or if you are traveling it is so easy to use and there is no excuse not to use it hehe. The other thing is because it is ‘2 in 1’ you don't need to worry about picking up a separate toner. 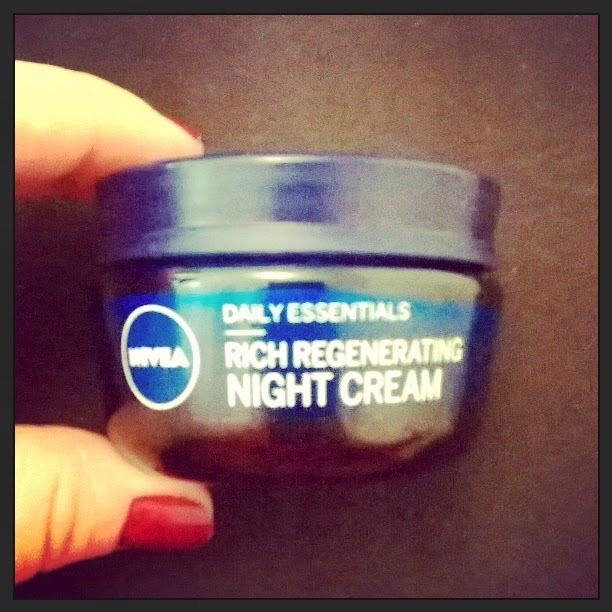 Always, always follow up cleansing and toning with a moisturiser, and I use the ‘Daily Essentials Day Cream’ for the day and the ‘Rich Regenerating Night Cream’ for the night time, these are so nice they smell amazing and they are incredible for my skin they leave it feeling nice and clean and so soft. The ‘Daily Essentials’ Range has different products for different skin types, so I use Normal & Combination skin types. Have a look at the type of skin you have a check out Nivea for the range or any products that you want to try out. The other things I just want to add are that Nivea do not test on animals, which is very important to me, they also use Vitamin E which helps your skin to repair itself and also it’s great for protection. The other thing you may notice on the packaging is that they talk about Hydra IQ this helps to keep your skin hydrated; this is really good for your skin. 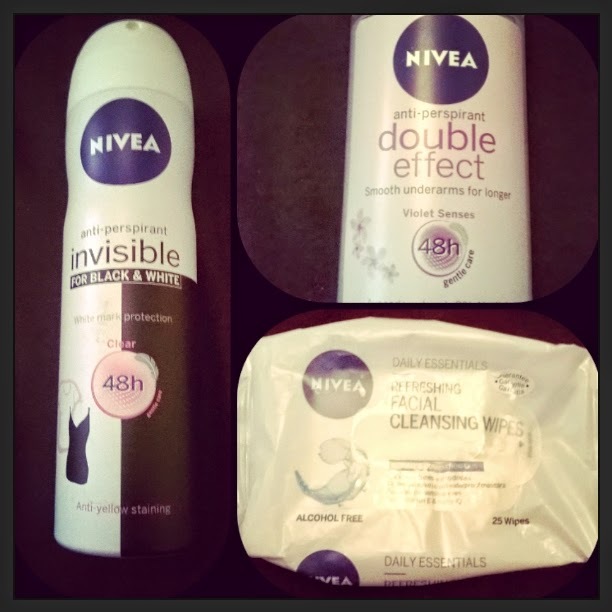 The other items I use from Nivea are the ‘Invisible for Black and White’, I love this, it really does help with the white marks, I tend to wear a lot of black tops and I don't find any white patches on them. The other one I use is the ‘Double Effect’ which again smells amazing (yes I do think I have an obsession with nice smelling things lol). Finally, I also use the ‘Daily Essentials Facial Cleansing Wipes’, I use these when I come home and take my make up off, I tend to come up, PJs on hair up and make up off, and this is amazing for it. 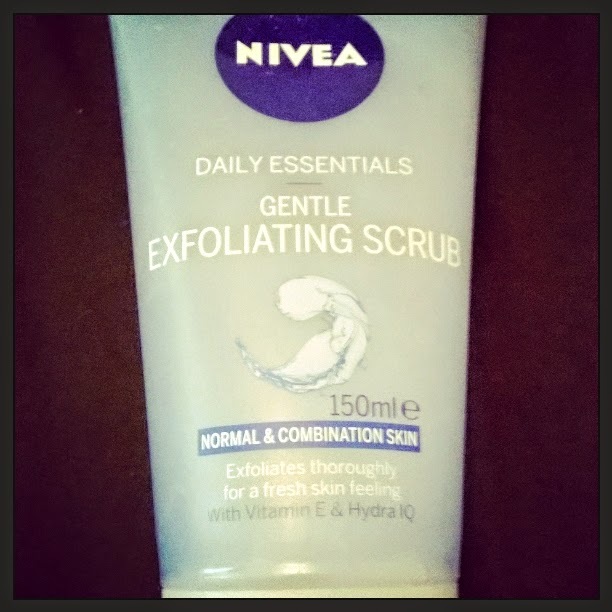 There you have it, that is my Daily Skin Care Routine and it really does have a good effect on my skin, it is so nice and smooth and I find that I hardly get any break outs so a very big thank you to Nivea for making my skin amazing. I hope this has helped if you have any break outs maybe you can go try it and let me know what you think.